THIS game, my god it really did not want to work out at all. After days and days of trying all combinations I think I found a working one, it works in dolphin, dios-mios lite and dios-mios so chances are good it'll actually work on a gamecube as well! Please let me know by grabbing the current release and installing it with a softmodded GC/Wii and GCMM. If you are interested in the source its included on the github page. This time I even added in some comments to the code because this is a pretty complicated piece compared to the previous ones I wrote. Last edited by FIX94 on Fri Aug 31, 2018 11:11 am, edited 1 time in total. Which Splinter Cell game is needed? Is it that one without any extra names? andzlay wrote: Which Splinter Cell game is needed? Is it that one without any extra names? What is the difference between gcee.gci and gcep.gci ? Which one should I use ? gcee is the US version, gcep is the PAL version. Hey, I tried to use this exploit in my GameCube and it just freezes after I select "Can't find this map" and nothing happens. I have formatted my memory card so that the only things on there are gcee.gci and boot.gci (from Swiss) and this is still happening to me on both the GC and Wii. Any help would be greatly appreciated. Using latest build. LunarForte wrote: Hey, I tried to use this exploit in my GameCube and it just freezes after I select "Can't find this map" and nothing happens. I have formatted my memory card so that the only things on there are gcee.gci and boot.gci (from Swiss) and this is still happening to me on both the GC and Wii. Any help would be greatly appreciated. Using latest build. Was it a boot.dol you copied across from Swiss or boot.gci copied across? only the latter will work, or try putting boot.gci on the card with GCMM instead. I just pushed up a new version of this exploit that will support NTSC v1.1 discs, maybe you have one of them, give it a shot if you are still interested. FIX94 wrote: I just pushed up a new version of this exploit that will support NTSC v1.1 discs, maybe you have one of them, give it a shot if you are still interested. Thank you so much for this update. You made my night. 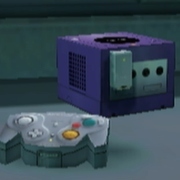 Can anyone post the exact files needed on the SD card to pull this off on a GameCube with an Memory card SD adapter? An SD Card Adapter is not a GameCube Memory Card. Extrems wrote: An SD Card Adapter is not a GameCube Memory Card. what in the world are you talking about???? I have a gamecube memory card that accepts SD cards, isn't that whats required? Nope. You need an actual GameCube Memory Card. Extrems wrote: Nope. You need an actual GameCube Memory Card. You need to copy the exploit and a converted boot.dol to the GameCube Memory Card, using GCMM on a Wii. Alright, i was able to move over the exploit file, but the boot.gci, its too big to fit on the memory card, i have a 59 block memory card. And the smallest boot.gci i found was 1MB. Game Boy Interface is currently 29-33 blocks. Extrems wrote: Game Boy Interface is currently 29-33 blocks. 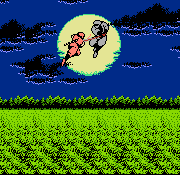 The GameBoy interface can load ISO's? Im trying to get Swiss loaded up to run ISOs from the SD card. You can use it to load Swiss from the SD card, but there are other options that are even smaller. Extrems wrote: You can use it to load Swiss from the SD card, but there are other options that are even smaller. How? What files do I need, can you elaborate? I know, that I'm a bit late to the party, but I can confirm, that latest version of exploit (1.1.1) is working flawlessly on my PAL GC. Thank you so much FIX94!